Obv/ Diademed head of Apollo r.
Rev/ ΠAN; bow in case. Con/ EF (for the issue), dark green patina with bronze high-lights. 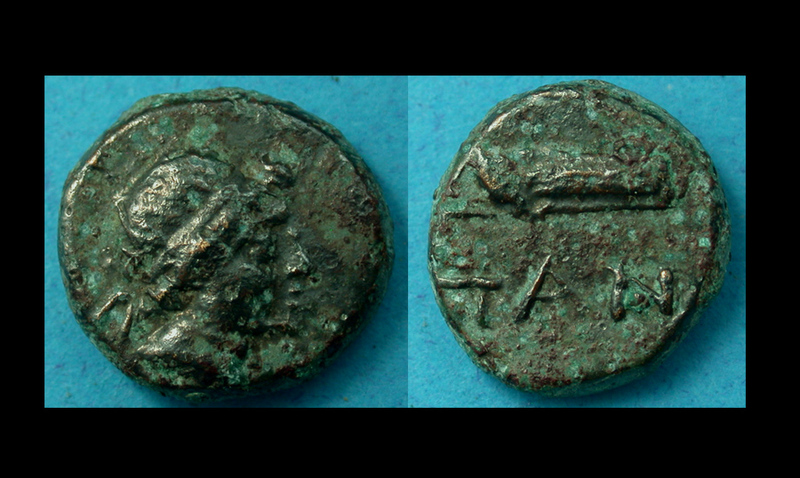 Seller's Note/ Tiny Æ coins like this rarely survive 2,300 years underground. This one is a real stunner, folks, despite what you see in the photo, trust me. Add this one to your book!